These diets propose an approach to eating that balances the appetites of a growing global population with the increasing fragility of the earth itself. All, in one way or another, call for a drastic reduction in the amount of meat we’re eating. That’s especially true for Americans, who consume more of it than anyone else. Out with animals, in with beans—lots of beans. The planetary health diet, which calls for a 50 percent reduction in global consumption of red meat and sugar, and an over 100 percent increase in nuts, fruits, vegetables, and legumes, by 2050, has already been taken to task for several reasons. The study’s lead author has been accused of pushing outdated nutritional science—in particular, recommending a diet low in saturated fats, which the report calls for in the form of less beef, eggs, and dairy. That’s pissed off the animal agriculture industry, and dietitians and paleo freaks aren’t having it either. Others have accused the authors of misunderstanding available resources for agriculture and sustainable food production, and called the funders out-of-touch, hypocritical Norwegian billionaires. If you’re snarky, you might just call it a virtuous rebrand of the now-aspirational Mediterranean diet—a characterisation the study’s lead author might agree with. But lost in all that hubbub is this: Are the study’s recommendations even practical? What if someone actually wanted to try saving the earth by following the planetary health diet to a T? Can we eat our way not only to better health, but also to a better planet? That is the question addressed by the EAT-Lancet Commission on Healthy Diets from Sustainable Food Systems (PDF), which launched its global Planetary Health dietary recommendations at the United Nations. 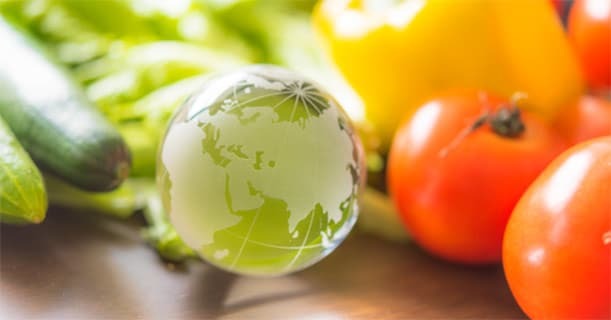 The goal of the 19 commissioners, drawn from a range of environmental, agricultural and public health disciplines, was to establish a scientific consensus on how to provide a healthy diet to a growing global population, while safeguarding the environment. The importance, complexity and scale of this task cannot be overstated…. So, has the EAT-Lancet Commission achieved its goal of devising a diet that can reduce chronic disease trends and environmental damage while allowing us to feed billions more people by 2050? Sadly, the short answer is no. The commission’s Planetary Health Diet falls short, for three reasons. First, it is founded on outdated, weak nutrition science. Second, the commission failed to achieve an international scientific consensus for its dietary targets, in spite of its claims to have done so. Third, it has suffered from biased, or at least unrepresentative, leadership…..
A long read but a thorough examination of where the ‘Planetary Diet’ is ultimately heading – and why it’s all about the money & monopolisation of our basic food supply.